Develop your skills sooner with Eclipse Driver Training. Call today! 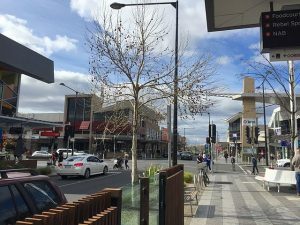 Learn to drive in Point Cook with Eclipse Driver Training and build your skills and confidence sooner. Offering the highest level of customer service and proven training methods our instructors set the standard for other local driving schools in the western suburbs. Getting your licence is a major milestone in life. Learning to drive is an exciting part of the process but sometimes it might seem a bit daunting. Have you just passed your learners test? Building experience? Preparing to get your licence? Our experienced instructors know that everyone learns differently and has different goals so we have the flexibility to suit your individual needs. With the right guidance and support you'll be amazed how quickly your confidence increases making it easier to expand your skills. We don't follow a general “one-size-fits-all” program. We personalise your training to make sure you get the most out of every class. Making faster progress is more cost effective saving you valuable time and money while learning to drive. Using a variety of modern training methods to suit your unique learning style we will improve your skills no matter what level of experience you already have. Have you just got your learners permit and want to get your driving off to a flying start? Our patient instructors are ready to get you moving in the right direction. Every day we’re helping new drivers just like you to develop the basic skills that build a solid foundation for safer driving. We use a variety of training methods so you can make faster progress with lessons suited to your learning style. Driving in a new country can be challenging. With over 30 years experience on Victorian roads we know there’s more to converting your licence than just practising drive test routes. We use proven training methods that simplify road rules, improve your skills and get you driving like a local sooner. Have you tried learning to drive in the past but gave up before getting your licence? We know how important driving is and the freedom and independence it brings. With our support you will build on your existing skills quickly so you can take your driving to the next level. Regardless of your previous experience or confidence level we understand that everyone learns differently. Using a variety of different training methods your lessons are aimed to suit your learning style. We don’t just sit back and tell you what to do. We guide and coach you helping to build good habits. Get a solid understanding of why you are doing things so you can adapt defensive skills to a variety of situations. Before you know it you will be a competent driver in a wider variety of traffic conditions and looking for new challenges. We love driving and we want you to love it too. By keeping things fun and engaging you enjoy your training and make faster improvements. We even provide advice for your supervisor to help make your private practice time more productive. Ready to become a better driver? We are passionate about keeping you and your loved ones alive, accident free and injury free on our roads. Our higher standard of driver education helps develop safer drivers with skills that go well beyond Vicroads drive test. Give us a call or fill in our contact form. 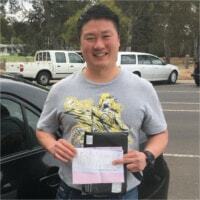 Find out why customers consider our Point Cook driving lessons are the best in Melbourne.